Contrary to many analysts’ expectations, OPEC successfully reached a deal to cut production on Wednesday. The deal, while still contingent upon non-OPEC production cuts, would see total OPEC production drop to 32.5 million bpd. There are winners and losers in the deal, with the largest cuts born by Saudi Arabia (486,000 bpd), the UEA (139,000 bpd) and Iraq (210,000 bpd). Iraq and Iran, initially resistant to major cuts, got away with only minor changes to their overall production, though Iran won’t be able to pass that golden 4 million bpd threshold Bijan Zanganeh had been insisting upon since August. 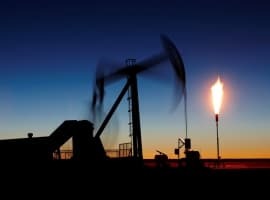 Enthusiasm over the deal saw prices shoot up on Wednesday, with Brent and WTI sailing past $50 and investors winning big across the board. More good news greeted the market on Thursday, as Russia announced it would join in the production cuts, apparently sealing the deal. Lots, it would seem, to be excited about. But what’s missing from this coverage? The wider ramifications of the OPEC deal, should it prove durable, will be felt across the industry as two years of untrammeled OPEC (and particularly Saudi) pumping comes to an end. The first tremors will be felt on the U.S. patch, where production has been falling for most of the year. Outside of the Permian basin, conditions among American drillers haven’t been all that encouraging, though the decline in production had stabilized in recent months and markets saw a bump after the election of Donald Trump as U.S. President. Higher prices could help U.S. producers with high costs claw back some market share, but competition will be fierce. An initial bump in prices may prove temporary as it gives U.S. producers incentive to pump more, sending the price back down. Encouraging signs that the OPEC deal will lead to a resurgence in U.S. shale production could prove enduring, however, and the rig count reached a high in the wake of the news. American shale has been the major factor in how this price crash endured long past the point Saudi estimates predicted: it’s a little unclear what the long-term effect will be. Related: Does The OPEC Deal Herald Higher U.S. Gasoline Prices? Then there’s the OPEC nations which needed a deal most, those producers who are now facing major problems. Higher prices will be needed to balance the budget of Venezuela, which is in the throes of a major economic and political crisis, as well as Nigeria, where militant activity has been impacting oil production in the Niger Delta for most of the year. Yet while Nigeria is excused from the cuts, Venezuela has been asked to shave off 13 percent and stick to a ceiling of less than 2 million bpd. 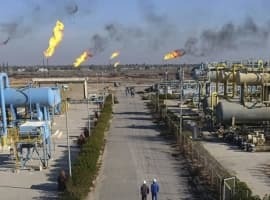 While there was some hope that an OPEC deal could save the beleaguered country, struggling production amidst a modest bump in prices may not be enough to stave off social instability and imminent economic collapse. The rise in prices will likely offset that cut, and there’s a chance Venezuela won’t honor it anyway, so desperate is the need for additional revenue and foreign exchange. But should the post-deal price bump prove illusory, and should prices slump back down below $50, then all will be for naught. Predictions on how long the government of President Maduro remains in power, or when the fabric of Venezuelan society comes apart completely, range from years to months. It is likely that the Gulf States don’t really care. Related: Non-OPEC Producers To Cut An Additional 600,000 Bpd Next Week? Compare the Venezuelan situation to Kuwait, Angola and Algeria. While pressured by low prices, none are in the state that Venezuela is in, yet all three have agreed to cut production by less than 5 percent. These cuts are small in percentage as well as absolute terms: tiny Kuwait is cutting only 60,000 bpd, which is fairly insignificant when measured against state foreign exchange reserves of more than $30 billion. Ditto tiny Qatar: cutting 70,000 bpd or 7.3 percent against financial reserves of $37 billion. And of course it all pales to Saudi Arabia, which possesses the third largest hoard of foreign exchange in the world, more than $500 billion. The swing producer is cutting half a million bpd, dropping its daily production from 10.5 to 10 million, a significant immediate drop even if it’s little less than 1 percent less than what it was pumping in Q1 of 2016. 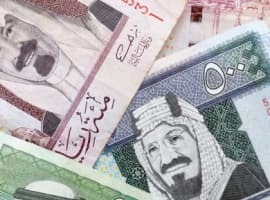 Concerns over the economic impact of low prices were the main reason for the Saudi change in policy back in September, when a deal suddenly became more likely. The state deficit continued to climb even as Wednesday’s deal was being finalized. This should be taken with former Saudi oil minister’s recent admission that OPEC members “tend to cheat” on production quotas. This tacit acceptance that these figures will likely prove temporary should emphasize to investors that the deal, even if it endures in a meaningful way, is yet another example of OPEC’s power to affect the immediate trends of the market, even while continuing to operate according to divisive interests. The deal will help Saudi Arabia, Iran and Iraq; will do little for Venezuela; and may prove complicated for U.S. producers. We only imported 24 percent of our oil lowest sense seventies wont this just push it to zero percent. All the puts.